Google don’t allow you to close just the one service, for example, Youtube account. 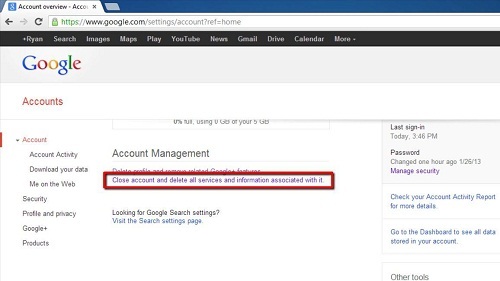 Instead you have to close your entire Google account, and this tutorial will show you how to take this rather extreme step. 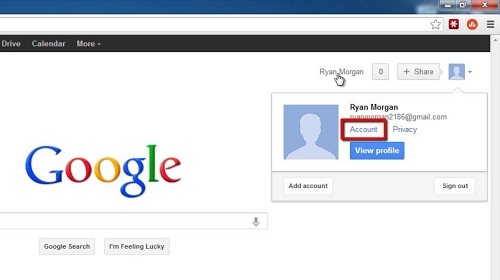 First of all you have to make sure that you are logged into Google, if you can see your user name in the top right of the screen on the Google homepage you are logged in. Click on your username and choose the “Account” button. A new page will load and at the bottom you need to find the link that starts “Close account and delete…”, click on this. On the next page you will need to check the seven boxes at the top, enter your password, check “Yes, I want to delete my account” and the final check box at the bottom as well. Finally click the “Delete Google Account” button. You will be redirected to a page that confirms that the account has been deleted. This is the only, and rather extreme way, of learning how to close Youtube and other Google services. That’s it, now you know to close Google account permanently!